New Let's work together to make your video better, contact us to schedule a demo. 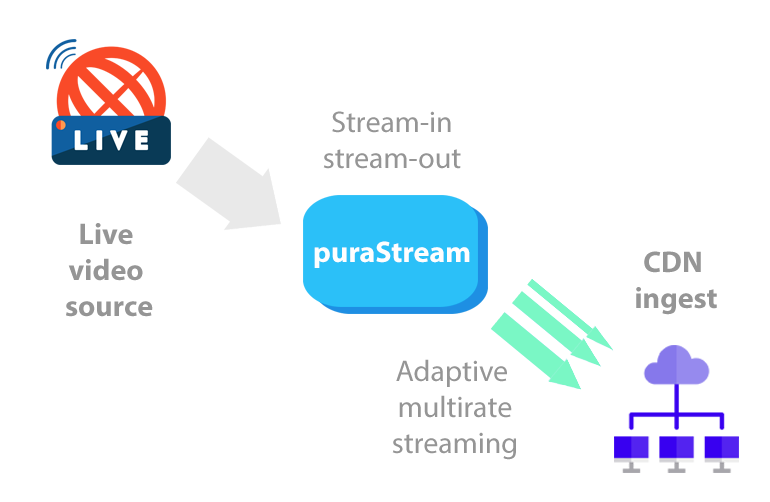 PuraStream™ is the industry’s first solution to offer perceptual and scene optimized compression for live streaming. With puraStream, consumers experience high quality video, with faster load times, and lower data costs. PuraStream accepts industry standard input formats including RMPP and outputs H.264 video over formats including RTMP and HLS.